I know I write about handwriting a bit but I believe it is very important. Some people say that technology is the way to go for notes and to-do lists but there is a resurgence in handwritten notes and to-do lists with bullet journals (bujo). I personally like paper and colorful pens. I go back and make my bujo pretty with stickers and washi tape when I have time and desire to be crafty. You can read my other posts on handwriting by typing handwriting in the search bar. Here is one article where I delve into d’nealian. 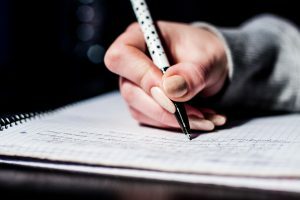 Here is another article on handwriting by someone that has taught it for many years. I hope it will inspire you to consider your handwriting choices this summer and maybe even introduce it to your kids this summer or in the new year. It is not so easy to guide your child to the handwriting that will give him or her the most lifelong success and pleasure. Even the thought of success and pleasure in writing by hand can seem unclear, maybe even unnecessary as an attainment goal. Many say the various amazing digital devices are all we need for communication. But I would not agree, not in the present time. Perhaps in some future world it may be so, but not now, especially with the popular method of text messaging with only a few hurried words or acronyms. Even as students record classwork with digital devices, it’s not the convenience it appears to be. Comparisons between those students that take notes in this manner, and those who take notes by hand, with pen and paper show a distinct difference in the quality and quantity of content between the latter and the former. There is an undeniable connection between our hands and minds. From the time we are babes, we learn by using our hands. As we learn to form the shapes of letters, those letters are implanted in our minds, so they are there for recall when we use the letters. Technology is not new to handwriting. Back in the 1880s typewriters became a choice to replace pen and paper for writing. It is much the same way that many now use digital devices to replace pen and paper. Perhaps you’re trying to decide which handwriting program or mode of letterforms might be best to teach. Should your child or children use a method that joins all letters within words, or start with print-script (manuscript) and then switch to a cursive, with all lowercase letters that join in words, or should they use cursive italic? To clarify, “cursive” is distinguished as “conventional cursive,” the method that most Americans know, or as “cursive italic,” known as a method wherein lowercase letters are partially joined. Most public schools in the United States teach print-script in the early grades, and then teach conventional cursive in either second or third grade. Other public schools only teach print-script in first grade and don’t bother with cursive. Do most of these schools assume that Common Core directives eliminate handwriting instruction after first grade, or is it just a belief that there is not enough classroom time to teach handwriting? There is no defensible reason to eliminate handwriting. If research points the way to a viable path to learning, we cannot afford to ignore handwriting. Fortunately, homeschooling can save the day. Is there a rationale to teaching two distinct-looking alphabets? Is it easier for the youngest children to learn to write letters that look like those they see in storybooks and then, change in second or third grade to what looks like a whole new alphabet? Are children confused by the change to “new” letters? Is it such fun to write like grownups, that entertainment overrides the change that children must make to hand/finger movement? They must learn that unlike print handwriting, letter lines no longer move from top to bottom. Now conventional cursive lines move upward from baselines and from other places, and some shapes of letters are no longer the same. It’s exciting at first, but trouble often starts later with legibility, especially when students have less time for handwriting practice than they did 50 or 75 years ago. Notice that almost all handwriting instructional books present two distinct-looking alphabets. Do publishers influence handwriting? Do we think we must teach print handwriting first and then conventional cursive? Other schools are independent. They go their own way, with conventional cursive from the beginning. One style is for writing, another for reading! Many people thus develop excellent writing. Possibly they achieve better penmanship with the single method. Some people are successful with hybrid writing. That is, they start out with print-script, and whether they missed the conventional cursive instructions, or forgot them, they develop semi-connected letters. Many are readable, like this new script being used in Germany: http://openfontlibrary.org/en/font/grundschrift. It attracts controversy for going against the national handwriting, but it’s very workable. Some who see lifts within words believe the writing to be slow. The movement is misunderstood. It’s actually a small, slight, and natural drift. Often conventional cursive, multisyllabic words are long, and it becomes difficult to maintain joining without pulling the writing off the writing line and distorting letters. Handwriting seems in no imminent danger of disappearing. Around the world, simplified handwriting is growing. There are a number of places around the world where italic cursive is used for its ease of teaching and ease of learning. Is the trend to simplify? Only time will tell. Take care. Make wise handwriting decisions. Our children should be able to enjoy the skill for a long time. Nan Jay Barchowsky has worked with handwriting for 40 years. She has taught handwriting and calligraphy to elementary school children and adults, both in groups and individually. She is a charter member of the Washington Calligraphy Guild and has taught workshops worldwide. Her authored handwriting publications on www.bfhhandwriting.com are sold internationally. Her emails and Facebook continually bring new contacts. Copyright 2018 The Old Schoolhouse® used with permission. All rights reserved by author. Originally appeared in the Winter 2016 issue of The Old Schoolhouse® Magazine, the family education magazine. Read the TOS Magazine free at www.TOSMagazine.com, or read it on the go by downloading the free apps at www.TOSApps.com to read it on your mobile devices.